The world’s nations are gathering to pledge targets for future greenhouse gas emissions. How well can we determine whether a nation is meeting its emission targets? Gases are mixed rapidly, albeit incompletely, in the atmosphere. This rapid mixing confounds the problem of climate treaty verification. I will review the global carbon cycle, the activities that release CO2, and how the land and oceans have absorbed about half the CO2 we have emitted into the atmosphere. I will also review the Measurement, Reporting and Verification (MRV) of climate treaty verification. A new satellite, the Orbital Carbon Observatory 2, successfully launched on July 2 2014, delivers unprecedented observations of CO2 variations in the atmosphere. I will present a “top-down” approach for estimating carbon dioxide emissions from the atmospheric CO2 variations. Satellite and in-situ CO2 observations together with raw weather observations are assimilated into a global carbon-climate model, so that surface sources and sinks of CO2 can be inferred as required for mass conservation. Inez Fung is a Professor of Atmospheric Science at the University of California, Berkeley. She researches the interactions between climate change and biogeochemical cycles, including the hydrological cycle, modeling and observing the carbon cycle, and how dust affects marine productivity. Dr. Fung was the second woman to earn a Ph.D. in meteorology at the Massachusetts Institute of Technology, and in 2007, she shared in the Nobel Peace Prize awarded to the Intergovernmental Panel on Climate Change (IPCC). 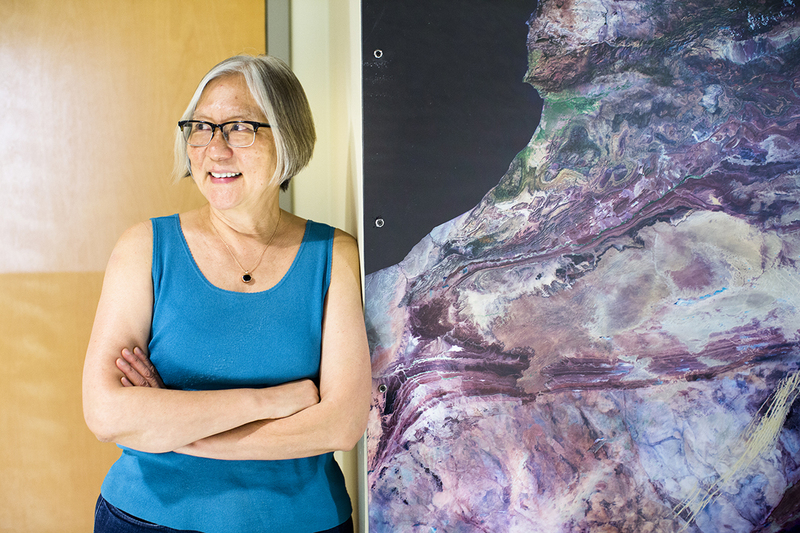 In addition, she has received the Roger Revelle Medal from the American Geophysical Union (AGU), was elected a member of the Academia Sinica in Taiwan, is a member of the National Academy of Sciences, and is a fellow of both the AGU and the American Meteorological Society (AMS). Sponsored by the Department of Atmospheric Sciences. When Charles Darwin stepped on the Galapagos of the eastern Pacific in 1835, he saw “an arid volcanic soil” and leafless vegetation. Unknown to Darwin is that every few years, rain storms of El Niño transform the islands into a lush landscape. El Niño effects are far-reaching, causing droughts that keep wild fires raging for months in Indonesia and driving the storm track from the Pacific Northwest to California. Prolonged cooling of the tropical Pacific temporarily slowed down global surface warming in the early 21st century while atmospheric carbon dioxide concentration has continued to rise, exceeding 400 ppm for the first time since Homo sapiens walked the Earth. The lecture surveys the scientific advances that transformed our view of the equatorial Pacific from a remote ocean to the great pacemaker of global climate. Shang-Ping Xie is a professor of climate science and holds the Roger Revelle Chair in environmental science at Scripps Institution of Oceanography, UC San Diego. 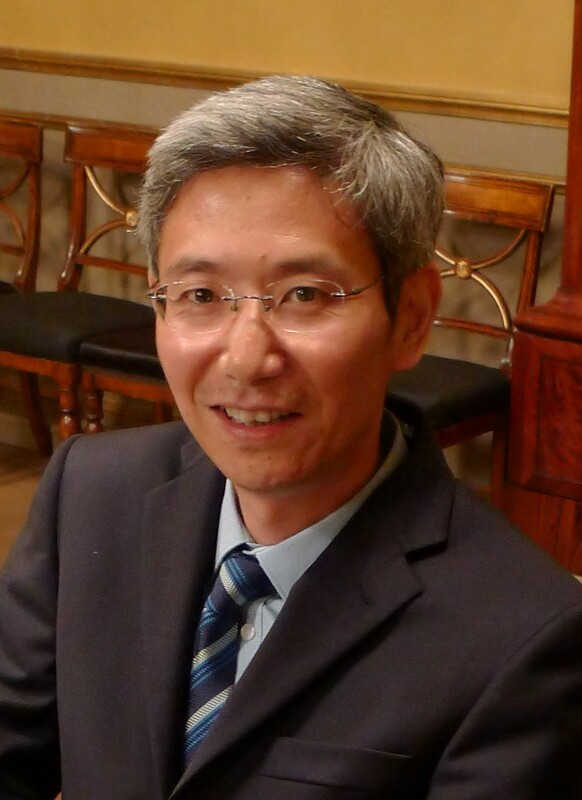 His research concerns ocean-atmosphere interactions, climate variability and change. 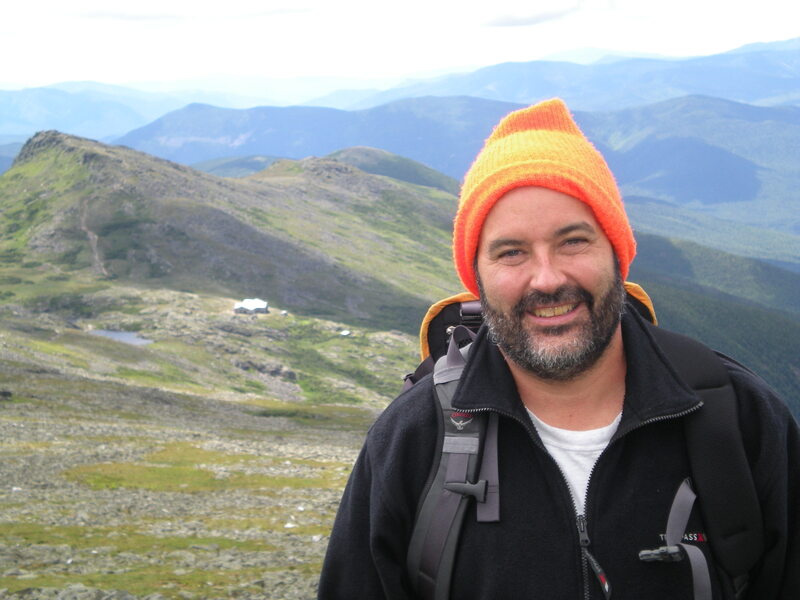 His work contributes to answering such fundamental questions as how climate varies both naturally and in the face of increasing greenhouse gases in the atmosphere, how preferred patterns of climate variability form, and how predictable climate is. He was a lead author of the Intergovernmental Panel on Climate Change (IPCC) Fifth Assessment Report, and named as a highly cited researcher by Thomson Reuters in 2014. When people think of mercury, they tend to think of the element in its silvery, fluid state—the stuff to avoid if a thermometer breaks. It’s a fascinating metal in that it is liquid at room temperature, but it is present in the atmosphere as an elemental gas. Does mercury come from the atmosphere, bodies of water, soil, intentional use of mercury in products and processes (commercial mercury)? Discover where it comes from and where it goes. Daniel J. Jacob is the Vasco McCoy Family Professor of Atmospheric Chemistry and Environmental Engineering at Harvard University. Professor Jacob is one of the group leaders for the Atmospheric Chemistry Modeling Group at Harvard. His research interests lie in the field of global atmospheric chemistry, climate change, air pollution and biogeochemical cycles. He has been honored with the Haagen-Smit Prize from Atmospheric Environment, James B. Macelwane Medal from the American Geophysical Union, and NASA Distinguished Public Service Medal. He is a top-ranked geoscientist in the world according to the Institute for Scientific Information based on citations and was ranked 16th “hottest researcher in the world” on the basis of frequently cited papers. 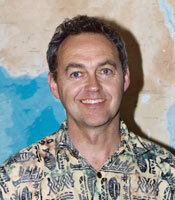 Dr. Richard Rotunno, Senior Scientist at National Center for Atmospheric Research, Boulder CO. In this talk Dr. Rotunno will survey some of the basic facts about tornadoes: seasons and regions of occurrence, size, intensity and duration. In the last decade or so, major advances in gathering information on the structure of tornadoes (i.e., how the wind in the tornado varies with radius and height above the ground) has come from mobile Doppler radar which can be positioned at close range (less than 2-3 miles) to the tornado. Although there are important limitations to the mobile-Doppler radar, the database using this technology has increased to the point where certain generalizations about tornado structure are now possible. Perhaps the most important generalization is that the strongest winds in a tornado are found at the lowest observable level which is approximately 10 meters (30 feet) off the ground. Dr. Rotunno will show that this finding (among others) is consistent with older theoretical and laboratory tornado models. Dr. Rotunno specializes in storms and large-scale atmospheric events, including tornadoes, squall lines, gust fronts, hurricanes, polar lows, mid-latitude cyclones and fronts, sea breezes, and a variety of related areas. He combines theory and numerical modeling to seek ways of improving the forecasting of these weather phenomena, and has engaged in modeling that simulates certain atmospheric events, such as hurricanes, in unprecedented detail. 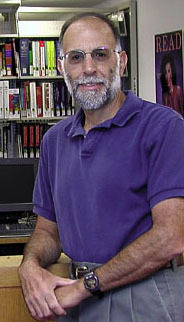 He is the recipient of the 2004 Jule G. Charney Award, American Meteorological Society, and the Banner I. Miller Award, AMS. Sponsored by Department of Atmospheric Sciences. Our planet is warming, and much of that warming is due to the burning of fossil fuels; this much we know. Yet there is much we do not know, and putting bounds on these uncertainties is critical if we are to avoid, or justify, either the alarmist or complacent tendencies that are simultaneously found in abundance in society. We also need to better appreciate the timescales on which the planet will warm as we burn fossil fuels, and then will cool down after we have burnt all the fuel. Some recent arguments suggest that global warming will not be as bad in the short term as sometimes portrayed, but may nevertheless be much worse than anticipated in the long term. But what exactly is the ‘short term’ and what is the ‘long term’? And how certain can we be about any of this? If the answer is ‘not very’, should we even care about the long term? Professor Vallis’ work varies between basic research in geophysical fluid dynamics and more applied modeling of various aspects of the ocean, atmosphere, or climate, although distinguishing between these subfields can sometimes be quite arbitrary. A common feature of his work is trying to use basic theory in conjunction with more complete numerical models to come to a more well-rounded understanding of phenomena than can be achieved with a single approach. On the oceanic side, much of his recent work has been devoted toward trying to understand the three-dimensional structure of the wind-and-buoyancy-driven circulation, and in particular the thermocline. The effects of ventilation (or subduction), diffusion and mesoscale eddies all play a role, and disentangling their sometimes competing effects involves the use of both numerical models and theory. He’s now trying to understand the ocean’s role in climate change–how does the ocean absorb heat in a warming planet? On the atmospheric side, he’s recently been looking at the nature of variability at timescales from a week to a season, and how this might be caused by the interaction of baroclinic eddies. Again, a complete understanding of this involves bringing together areas as seemingly diverse as the theory of geostrophic turbulence, wave-meanflow interaction, and general circulation modeling of the atmosphere. We enjoy the benefits, but not the costs, of our unsustainable energy system. There is high scientific confidence that if we burn most of the fossil fuels and release the CO2 to the air, we will change the climate in ways that make life harder. Yet, we are surrounded by renewable resources that greatly exceed likely human use. And, solid scholarship shows that learning to use these sustainable resources before we burn all the fossil fuels can benefit the economy and national security as well as the environment. Dr. Richard Alley is the Evan Pugh Professor of Geosciences and Associate of the Earth and Environmental Systems Institute at Pennsylvania State University where he has worked since 1988. He graduated with a Ph.D. in 1987 from the University of Wisconsin-Madison and M.Sc. (1983) and B.Sc. (1980) degrees from Ohio State University-Columbus. He conducts research and teaches on the climatic records, flow behavior, and sedimentary deposits of large ice sheets, to aid in prediction of future changes in climate and sea level. His experience includes field seasons in Antarctica, Greenland, and Alaska. 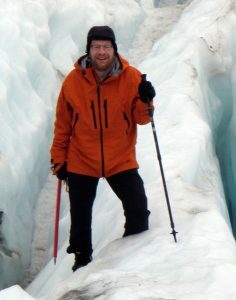 His awards include election to the US National Academy of Sciences, the Tyler Prize for Environmental Achievement, the Revelle Medal of the American Geophysical Union and the Horton Award of their Hydrology Section and Fellowship in the Union, the Seligman Crystal of the International Glaciological Society, the first Agassiz Medal of the European Geosciences Union Cryospheric Section, Fellowship in the American Association for the Advancement of Science, the US Presidential Young Investigator Award, the Public Service Award of the Geological Society of America, the Easterbrook Award of their Quaternary Geology and Geomorphology Division and Fellow in the Society, the American Geological Institute Award for Outstanding Contribution to Public Understanding of the Geosciences, and at Penn State, the Eisenhower Teaching Award, the Evan Pugh Professorship, the Faculty Scholar Medal in Science, and the College of Earth and Mineral Sciences Wilson Teaching Award, Mitchell Innovative Teaching Award and Faculty Mentoring Award. Dr. Alley has served on a variety of advisory panels and steering committees, including chairing the National Research Council’s Panel on Abrupt Climate Change and participating in the UN Intergovernmental Panel on Climate Change (which was co-recipient of the 2007 Nobel Peace Prize), and has provided requested advice to numerous government officials in multiple administrations including a US Vice President, the President’s Science Advisor, and committees and individual members of the US Senate and the House of Representatives. He has published over 190 refereed papers, and is a ‘highly cited’ scientist as indexed by the Institute for Scientific Information (ISI). His popular account of climate change and ice cores, The Two-Mile Time Machine, was chosen science book of the year by Phi Beta Kappa in 2001.